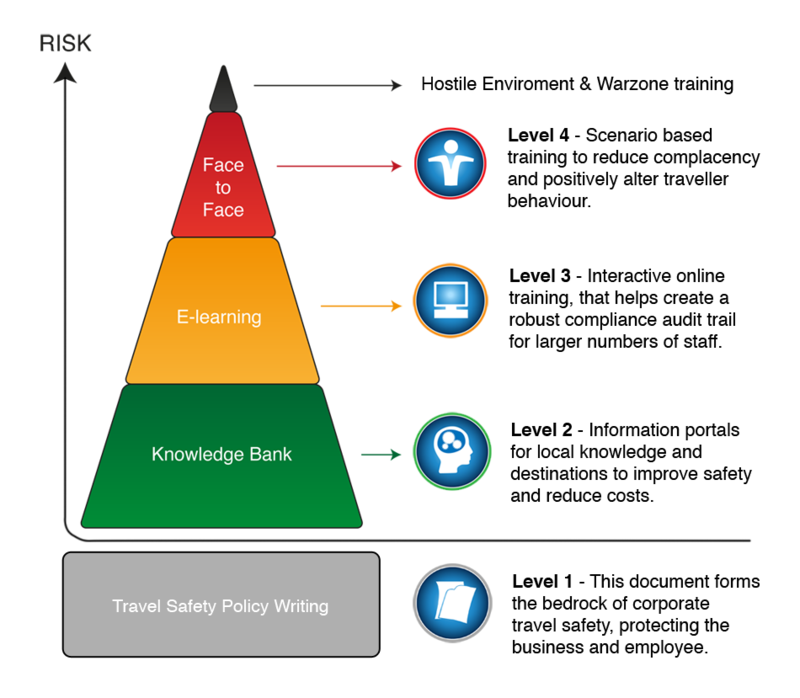 Level 1 - This should be the bedrock of your company’s duty of care for staff traveling overseas. We help you research, design, build and implement a robust policy that will help protect your travelers, your data and, most importantly, your corporate reputation. Level 2 - These are bespoke platforms that allow you to impart local knowledge and information for staff that travel to regular destinations. They also provide an opportunity for travelling staff to share best-practice to increase personal safety and convenience leading to greater productivity and cost savings. Level 3 - This is designed around the core modules of the face to face course. Over 40 minutes it imparts key hints and tips to your travellers to make them safer and less complacent. It also creates a robust audit trail for the business to allow the company can demonstrate its duty of care to travelling staff. 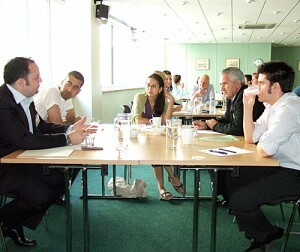 We also offer other related e-learning courses. Level 4 - This interactive and scenario based course is aimed at your higher-risk travellers be that their experience level, destination or value to the business. It’s all about changing traveller behaviour and imparting skills and knowledge that will help keep them safe and ensure a more productive trip. With the rise in intermingling between races and the hunger to create something bigger, better, faster- traveling for business is a very common requirement of most corporate executives. With frequent traveling comes complacence and with complacence trouble! If you are not careful and do not follow your duty of care scrupulously, you may end up at the receiving end of a dereliction of duty lawsuit. Planet Wise™ is here to ensure your staff, data and company reputation are protected at all times. At Planet Wise we want to keep your company safe, in a world where lawsuits are common and where Health and Safety laws and compliance with these laws is a business-critical issue. Planet Wise™ has been in operation since 2003 and was set up to offer business critical training to staff who travel overseas on company business. The company has secured an excellent range of blue chip clients who benefit from the various services on offer. These range from ongoing assignments where every member of staff is trained to a company standard or a more focused course for higher risk countries. Planet Wise Managing Director, Mark Hide, is a regular contributor to national and international news media including BBC, CNN and Sky News on the subject of international travel safety. He often asked to speak at travel-related conferences and has been a keynote speaker at the Global ACTE conference, Business Travel Show and many others. Our instructor team consists of experienced travel safety specialists who have a natural ability to get their point across. They are of course well traveled and can really get to the heart of doing business safely across the world. We also have a dedicated research, design and development team bringing you the latest in compliance-based e-learning and interactive online courses and knowledge banks. We also offer bespoke package for all our clients so you really feel you have a useful resource and product your company can be proud of. To get prompt answer to specific queries, please click here and submit a question!